In a note, the national leadership says that the PT will maintain its intransigent defense to Lula, for believing in his absolute innocence. The condemnation of former President Luiz Inacio Lula da Silva represents an attack on democracy and the Federal Constitution. Although it is a first instance decision, it is a wrong, arbitrary and absolutely illegal measure, conducted by a partial judge, who reports to the media and public opinion he created against former President Lula. The verdict is based exclusively on plea bargain agreements negotiated over months with confessed criminals, and simply validates the convictions contained in the prosecution of prosecutors of the Federal Public Prosecutor’s Office, without there being any evidence to justify condemnation under the terms of Brazilian law. Lula is not above the law, either below it. What happens is a process of persecution that constitutes a constitutional aberration; A typical case of lawfare, in which undue legal resources are used as an end to political persecution. In his case, it is sought to impute crimes to him based on theories backed only by the word of convicted criminals, incapable to prove their affirmations by means of documents or of bank transfers. Lula’s condemnation is yet another chapter of the farce led by the coup consortium that took over the country to suppress social and labor rights, extend the time for people to retire, cut essential spending on health and education and, above all, sell important state-owned enterprises Petrobras, Infraero, Caixa Econômica and Banco do Brasil (Bank of Brazil). Curiously, the veredict came a day after the vote on measures that took workers’ rights out, and will now be forgotten. PT will maintain its intransigent defense to Lula, for believing in its absolute innocence. 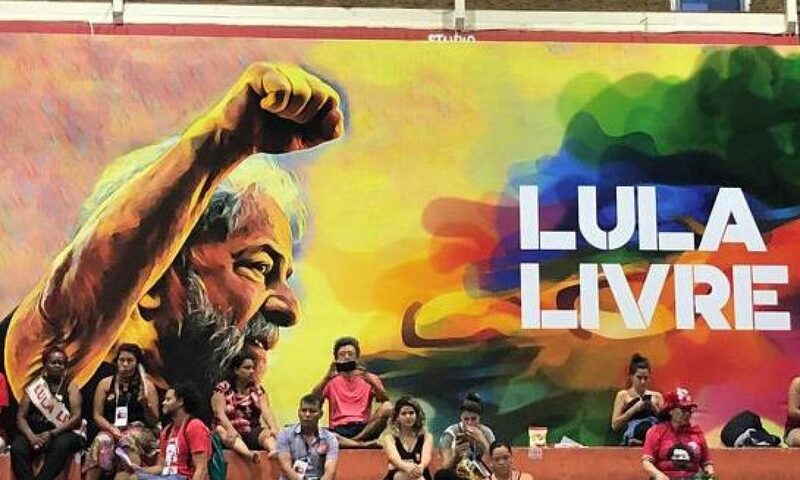 Lula is a recognized leader in the world for the advancements promoted ahead of the Presidency. Today, more than ever, we stand in solidarity with Lula, and with his children and grandchildren. In addition, we reinforce our grieve over the death of his wife Marisa Letícia Lula da Silva. We know that there will be Justice in other instances of judgment and that the whole truth will come to the surface. History will be the main witness of his verdict of acquittal and greatness. Previous PostPrevious How will the German Government react facing today’s Brazilian situation?